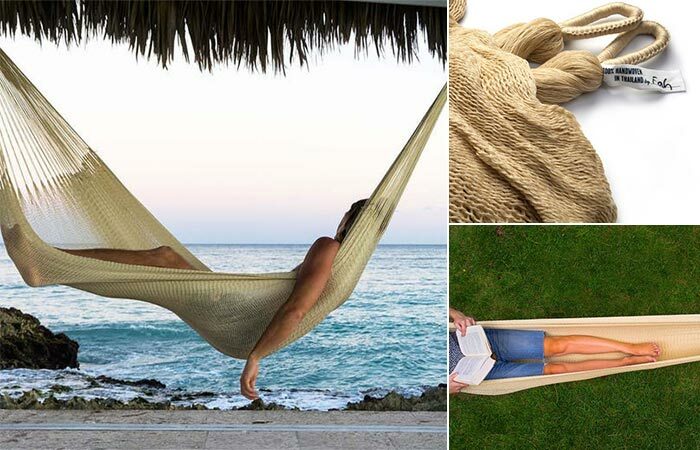 We all know that there is nothing quite like chilling out in a hammock. Hanging mid-air, as you feel all the tension escape you. Be it for a trip to the beach, lazing around a campsite, or simply chilling out in your backyard, the Big Sur Hammock has got you covered. Being weatherproof, the Big Sur gives you year-round performance. This is done through its weathersafe and colorfast yarn that gives it exceptional durability, even during the rainy season. We all know that there is nothing like lazing around in a comfy hammock. It also features a proprietary weave that was engineered to fit the contours of your body. This allows for exceptional comfort and weightless napping. In addition to this, the breezy loose-knit design keeps you cool on hot days. The exceptionally soft yarn also feels great on your skin; neither does it leave any “waffle-imprint”. Check out the video below. The proprietary weave was engineered to be comfortable and breezy. It also comes with an anti-flip design for worry-free napping. Besides, if quality is what you are looking for, the Big Sur is expertly hand-crafted. 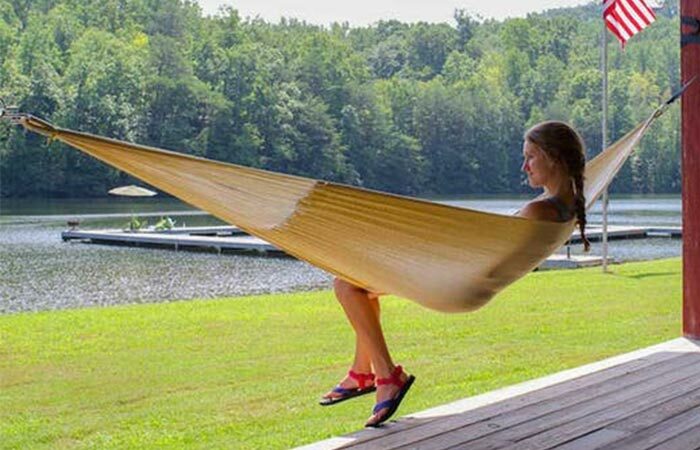 It can also expand so that you can share without squishing, and it comes with a signature Yellow Leaf Hammock Tote and “Hammocking 101” hanging guide to assist you with the set up. The Big Sure is made from acrylic performance yarn. In total, it measures 120” in length, and 72” wide. It has a carrying capacity of 400lbs, and it only weighs 1.7lbs. CLARK NX-270 HAMMOCK TENT | BY CLARK JUNGLE HAMMOCK CO.